Even though I have been wheat and dairy free this month I still have had my fair share of sweets. Instead of going to the store and spending money on sweets with many ingredients I can’t pronounce and with artificial colors and flavors, I like to make my own sweets at home. Not to mention, have you seen the price of gluten-free treats? But making sweets without flour, milk, or butter gets a little tricky. I have experimented this month with everything from gluten free brownie-in-a-cup to coconut milk hot cocoa; neither of which scored too high on the "tastes good list". If I am going to eat a sweet it needs to be worth the calories I am eating, and both of those were definitely not worth it. Sunday was a beautiful, sunny day with temps close to 70. Chad and I took Koda on a walk mid-day with the sun beating down. Pair exercise and sunshine together, and by the time I got home I was craving ice cream. Now of course, ice cream is a no-no on my food list, so I needed to make due. Enter coconut milk, fresh strawberries, organic raw sugar, and my Cuisinart Ice Cream, Frozen Yogurt & Sorbet Maker. In about 30 minutes I was able to whip up about a quart of this deliciousness and it totally satisfied my ice cream craving. Not to mention since it was made with coconut milk it was full of healthy fats. While I still like good old fashioned ice cream made with fresh cream, this is a very good substitute for those who are dairy intolerant. The Cuisenart machine was picked up at Sam’s Club a few years ago for under $75. An old fashioned hand crank ice cream machine would work as well. In a blender pulse strawberries, sugar, vanilla, and lemon until smooth. Let this sit in a fridge for up to 2 hours. (I’ll admit, I usually skip this step, but it does help bring out the strawberry flavor.) Next, pulse the coconut milk into the strawberry mixture until smooth. Pour into whatever kind of ice cream maker you have. 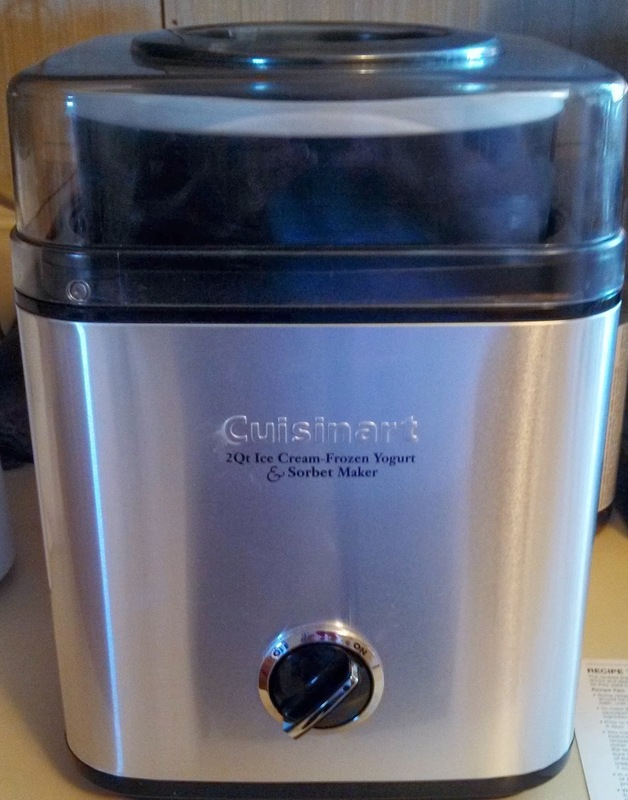 My Cuisinart machine takes about 25 minutes for the ice cream to be soft serve. This is best eaten immediately as soft serve. If you do have leftovers you can store in the freezer, but it will freeze solid. ** Another idea if you do not have an ice cream machine is to pulse the mixture until smooth and add to popsicle molds and freeze. Since this freezes solid it works well for popsicles. ** Want real ice cream? 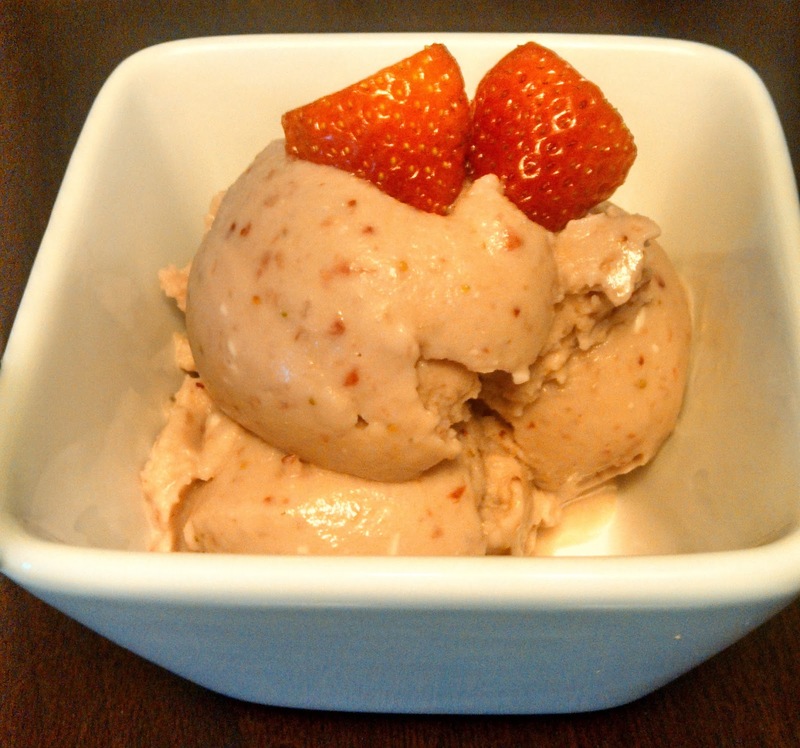 Swap out the coconut milk for 1 cup whole milk and 1 ¼ cups heavy whipping cream for a traditional strawberry ice cream.